My maternal family line goes back to the areas of Austria, Hungary, and Poland. In the years that I've been doing my family research, some of the recipes that I was brought up with began to make more sense and much more appreciated! As an adult, I now enjoy making these recipes and sharing them with my family in hopes that they continue passing them to their children. As kids, we called these "pigs in a blanket" and it was a favorite that my Grandmom often made. In our Polish heritage, they're actually called Gołąbki (also known as Golumpki, Gwumpki, and Golabki), but the Slovak areas made the name Halupki more of known name that more people recognize than Golumpki. Some people just call them "stuffed cabbage leaves" or even "cabbage casserole." We call them delicious! 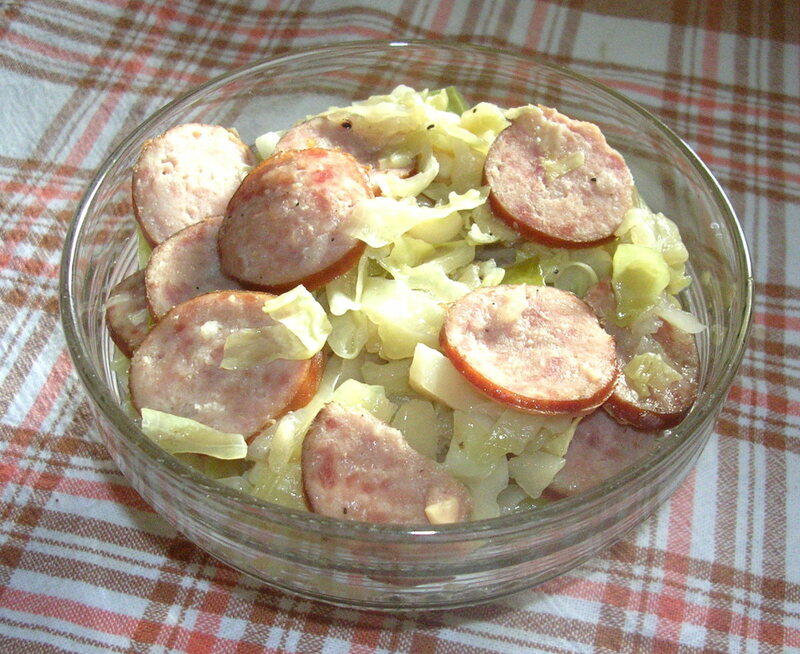 Golumpkis are often served during the Christmas season among those of Polish heritage. 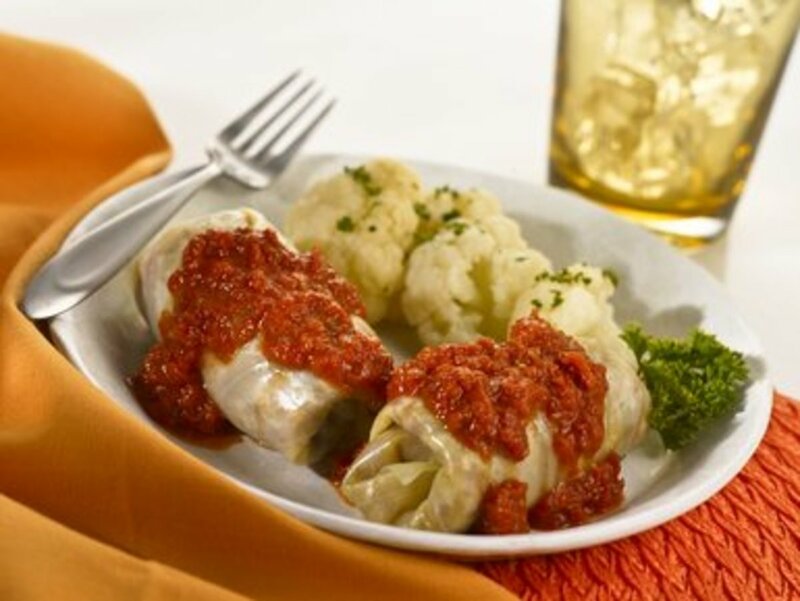 Whether you make them during Christmas, or throughout the year, you are sure to love these delicious cabbage stuffed rolls from the kitchen of my grandmother. If you're following a Paleo lifestyle of eating, this recipe is for you with one little modification! Omit the rice and take several large florets of cauliflower and pulse in a food processor until the cauliflower resembles rice. Use this faux rice in the recipe instead of the rice! 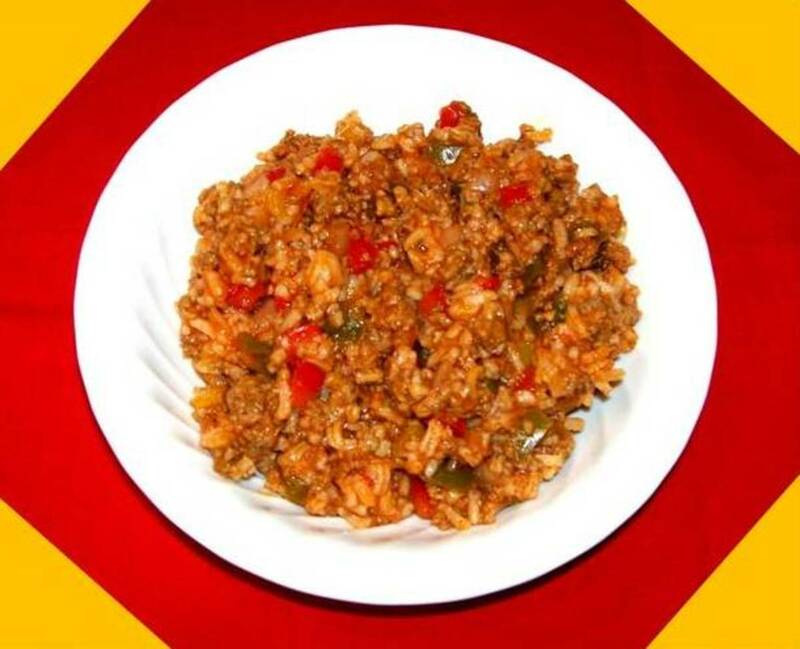 In a large bowl, place the ground beef, pork, chopped onions, uncooked rice, salt, paprika, garlic, pepper, and 1/2 of the petite diced tomatoes. Mix together with hands. 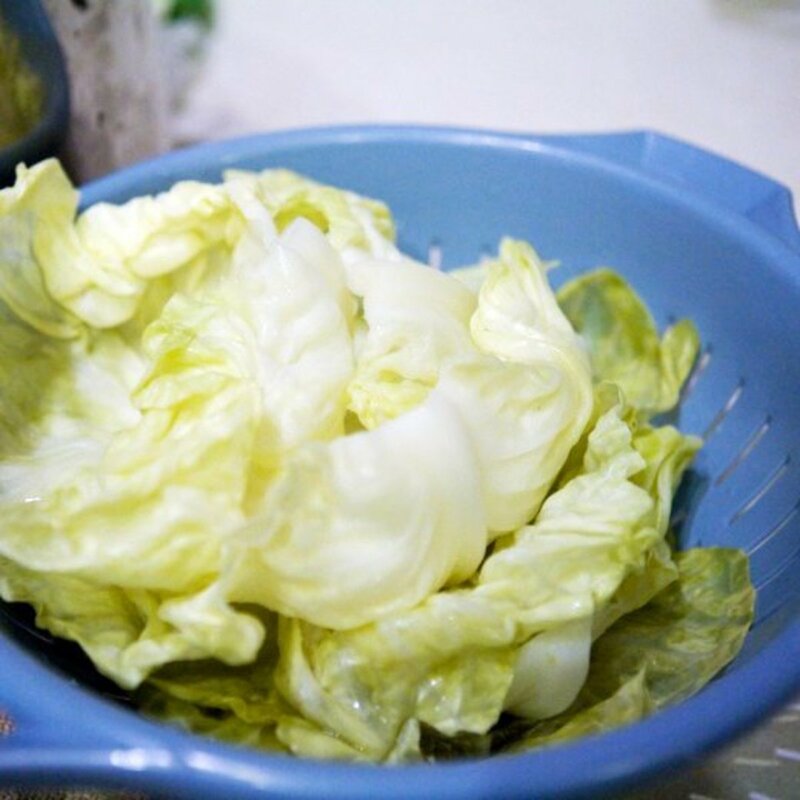 In the bottom of a large pot, place any broken cabbage leaves that you may have. Holding one of the full leaves in one hand, take a large spoon and place the spoonful of mixture near the stem end of the leaf. Fold in the sides of the leaf and roll from the stem end to the outer edge. Gently place the edge side down on top of the broken cabbage leaves. Continue until all are rolled and placed in the pot. You will probably have to stack them, just fit them in on top of another with the edge side down. 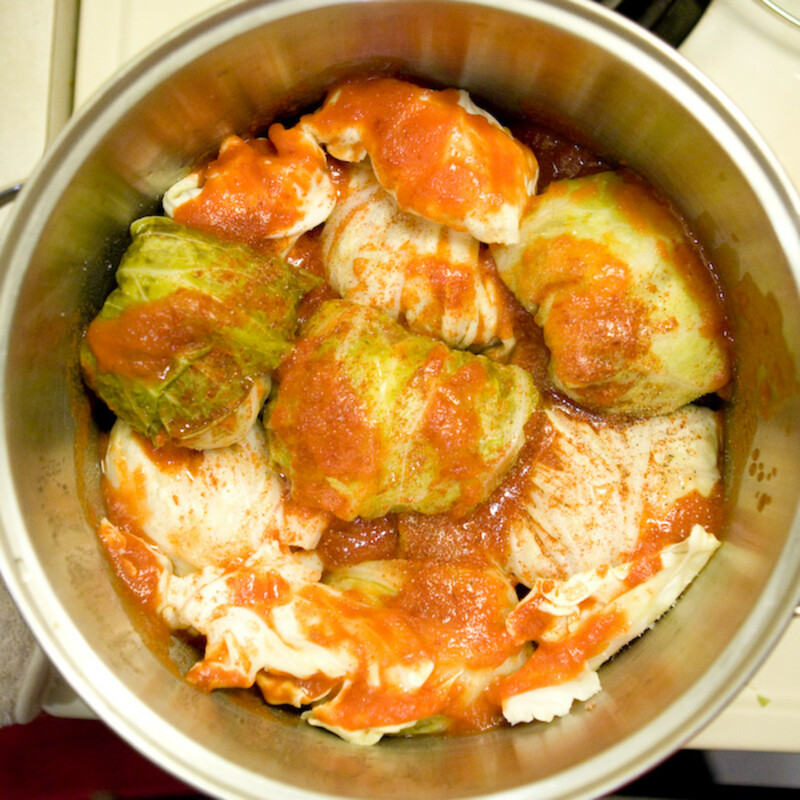 Take the two cans of tomato sauce and gently pour over all the wrapped cabbage rolls. (If you prefer, reserve about 1/2 cup to add over golumpkis when they're served). Add in the other half of the petite diced tomatoes. 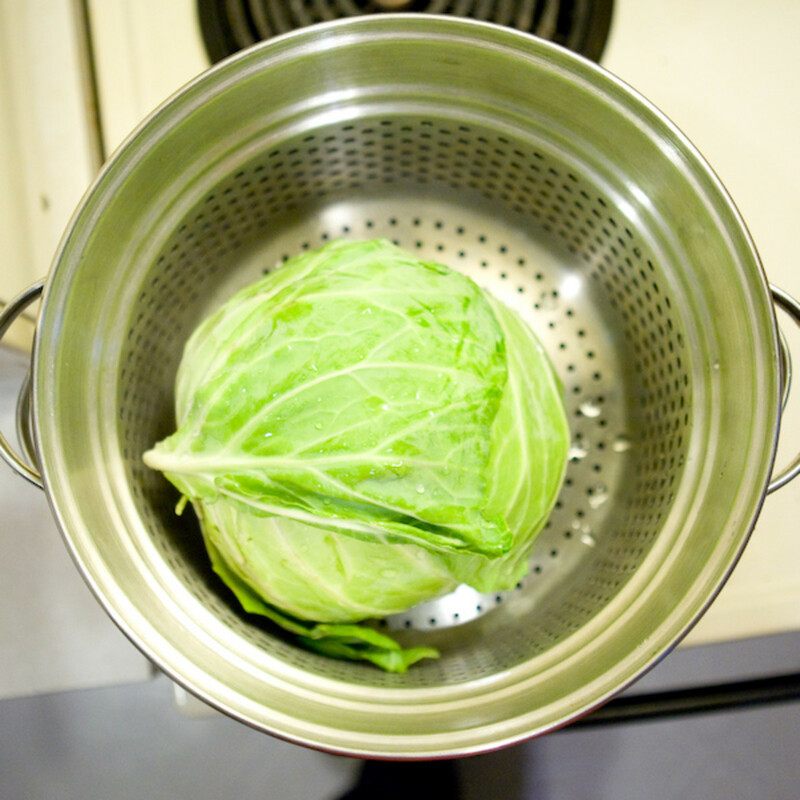 Add in 1 cup of water or reserved water from steaming the cabbage. Sprinkle a little paprika on top of the sauce. 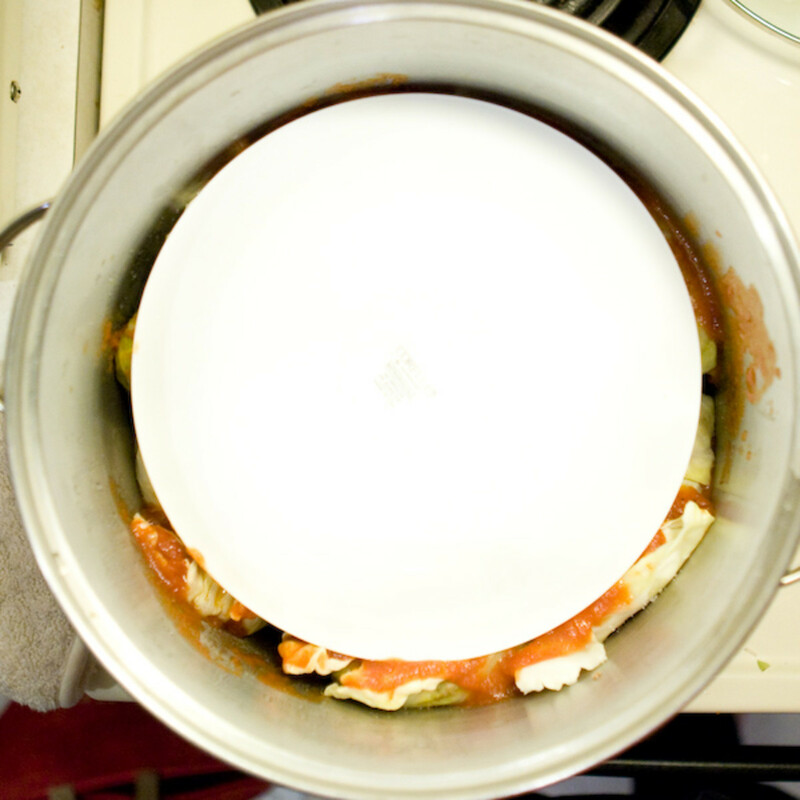 Place a heat-safe plate upside down on top of the cabbage rolls. 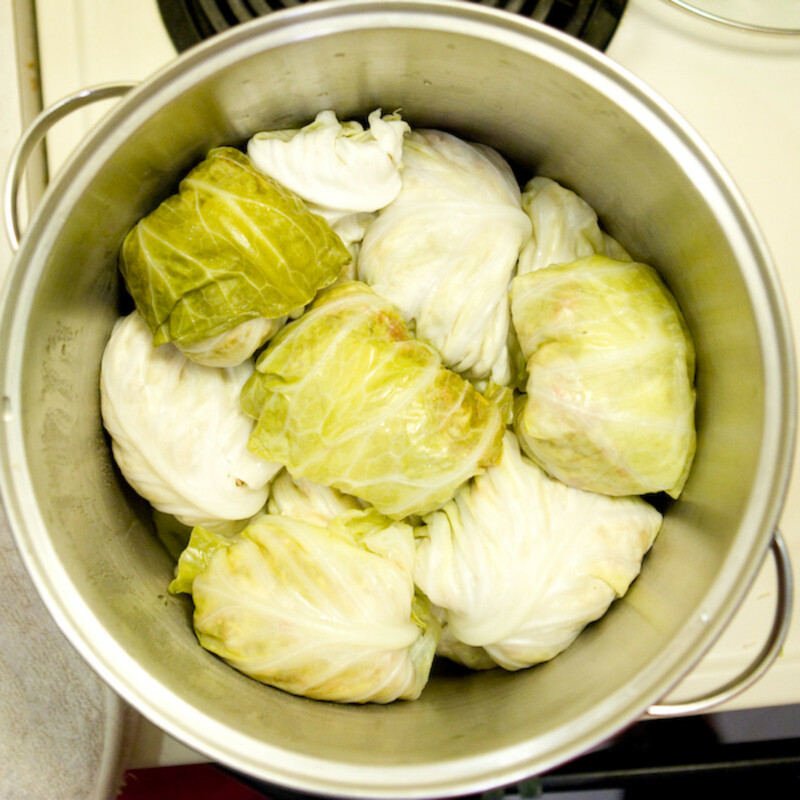 This will prevent the cabbage rolls from falling apart when they are being cooked. Cover and boil slowly for about an hour or until cooked through and tender. Remove from heat and carefully remove the plate. Use a large spoon to serve. 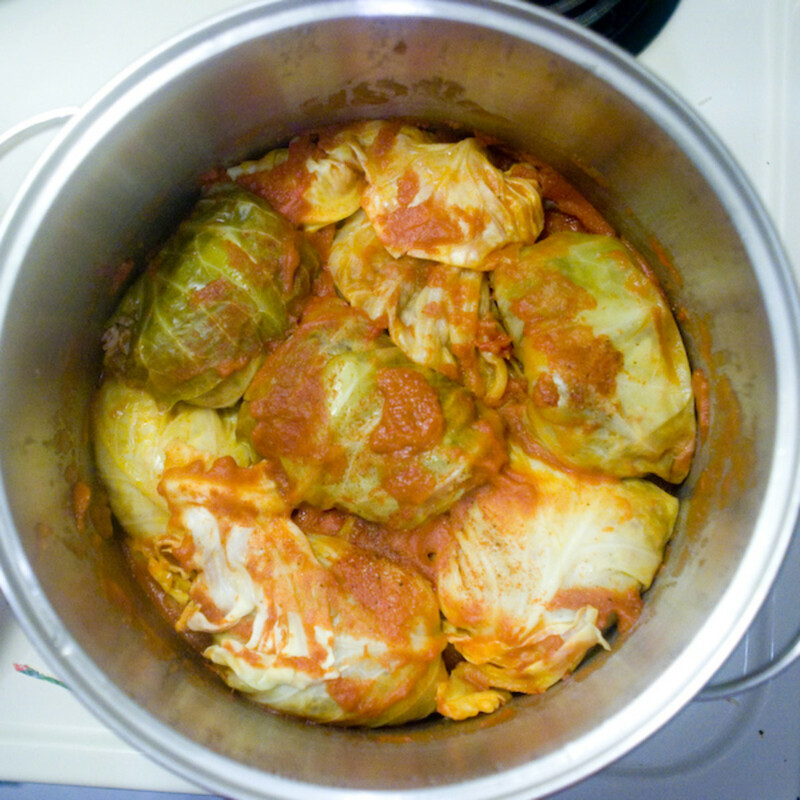 My husband's family were Ukrainian and made stuffed cabbage without tomatoes or tomato sauce. 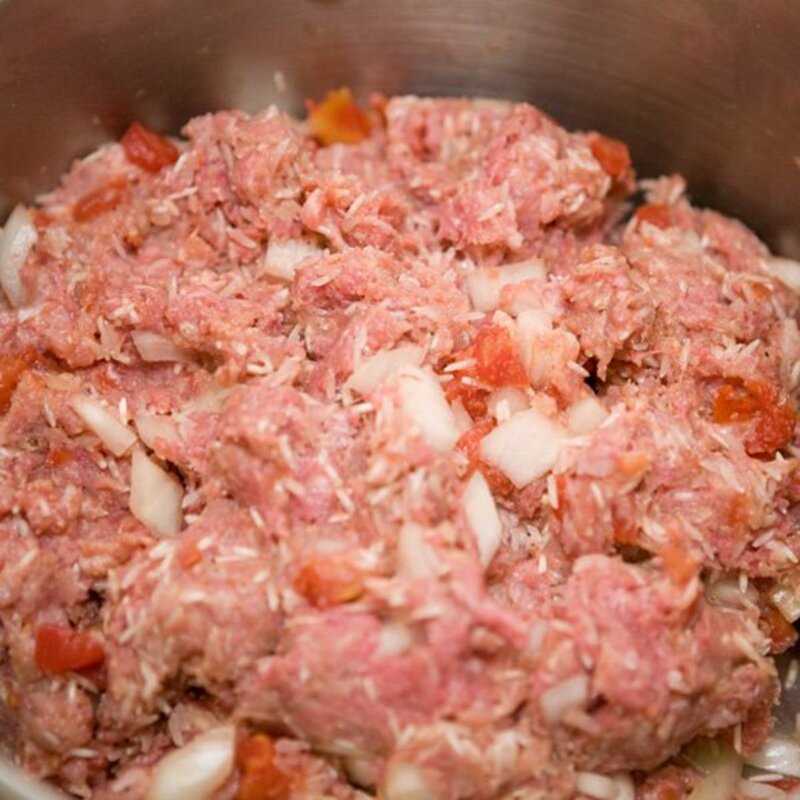 Always used salt pork cut little and sauteed then added to uncooked beef and pork and uncooked rice and onion. 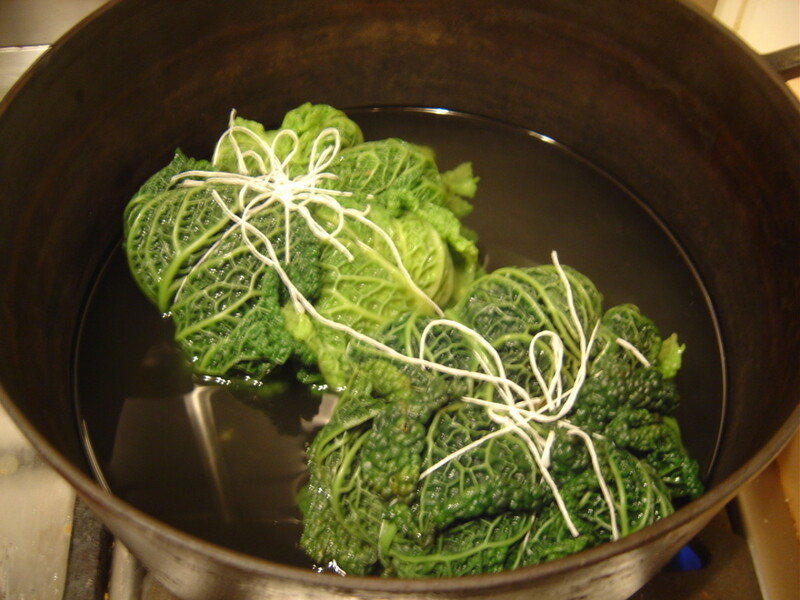 Rolled the steamed cabbage rolls in tall pot with leftover cabbage leaf's in bottom added a few inches of water and steamed all the rolls about an hour then served with vinegar or sour cream on the sude. My Polish/Croatian side is really going to like this one. Hopefully It will only take me one try. I'm a native Pittsburgher and this is pretty much the way my grandmother made it. Although I think she used tomato sauce with a little sugar in it for the sauce. But other then that, it's pretty much the same. I've been to Italian Weddings, German Weddings, and Polish Weddings in the 'Burgh. 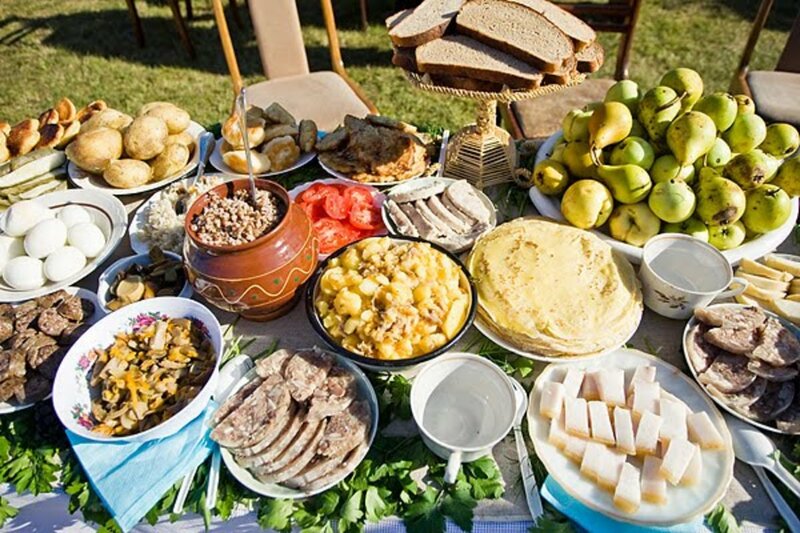 All of them were awesome, but I think the Polish Weddings were the best, Lots of food like this to eat ... all made by grandmothers! I’ve got leftover cooked rice & only ground beef, but I’m going to try this anyway. 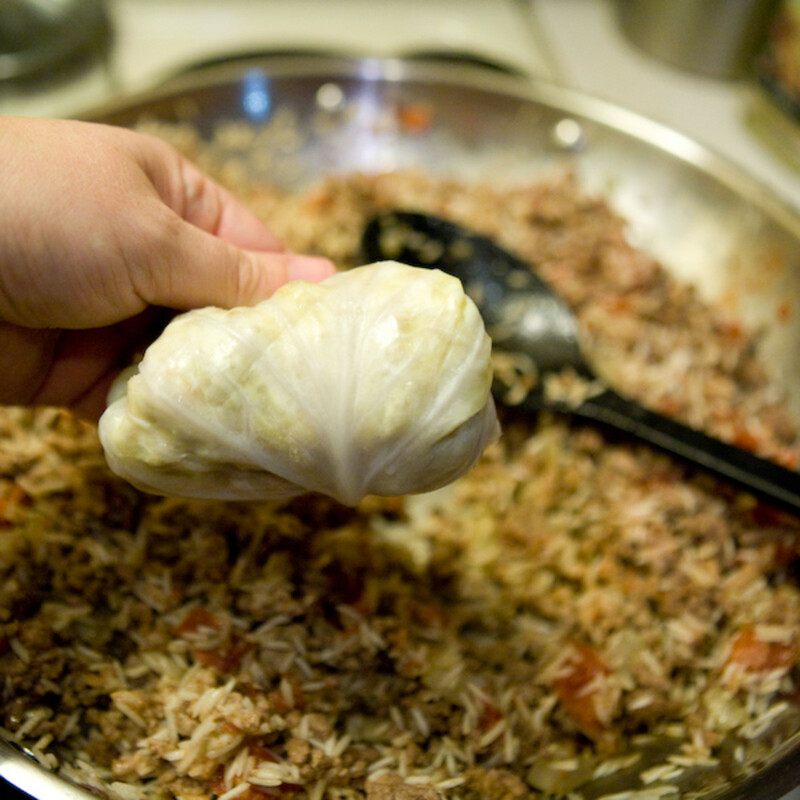 I haven't noticed anyone of Russian decent speak of Protkis, our version of stuffed cabbage. 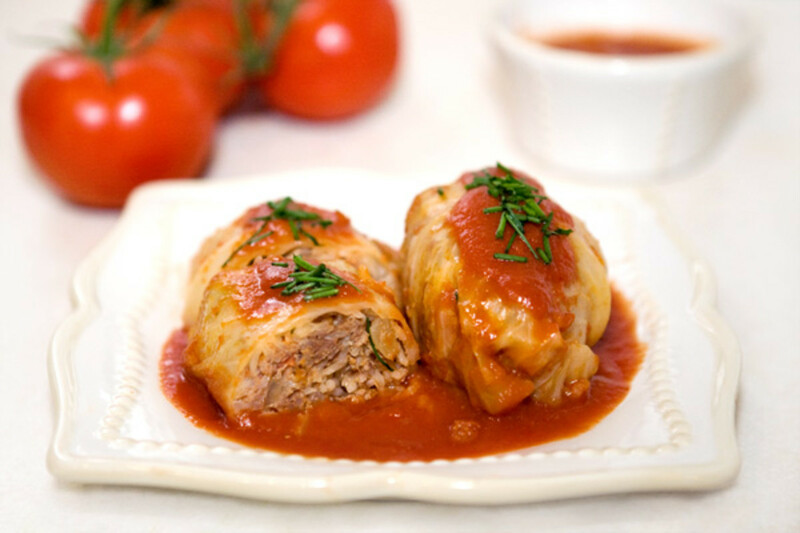 I remember it being savory and sweet in my grandmother's kitchen, layering tomato sauce and a few white raisins between layers of the cabbage rolls to add just enough sweetness. Using the pork is genius and I've tried using cooked barley instead of the rice. Came out mouth watering, tender, and delicious! Thanks for this perfectly scrumptious basic recipe....I know it helped so many like me perfect our own versions!! Love the recipe but it is so frustrating to see good recipes that don't have a print option. Your recipe sounds just like my moms'... there were a few differences, which I don't know if she invented or it was the recipe she got from someone. She was German/English/+? but I never heard her mention any recipes from her mothers side of the family. Wish that I asked her where she got it from! She married my dad, who was 100% Italian from the old country, & had to learn how to cook "like his mother" & she was renowned as the best Italian chef, & everyone thought that SHE was the Italian, not dad! At any rate, the difference from yours was that she added sauerkraut with fennel seeds, & tomato soup instead of tomato sauce. Thank you for sharing... I'm not a good cook but this the trick; I love it and so did my husband! So glad I found this recipe, used to make this a lot for my family as a kid. My sauce consisted of equal parts tomatoe sauce and tomatoe soup though. Also, I put bacon on top and cooked in the oven. I think I need to get back yo my roots. Half Polish (Dads side) and one quarter German and one quarter Irish, so I have some delishish ways to go for dinner time, nice variety. @michelle from PA, it's hidden in there in step #5 :) Enjoy it! It's on my list to make this week, too! Finally, someone else that cooks then in a pot rather than baked in the oven. This recipe is so similar to my mom and babci, true old fashioned polish style. Have always made my cabbage rolls the traditional Ukrainian way but today have had the best golumpki ever!! Will be making some using your very interesting recipe.. one is never too old to try something new. My favorite food. 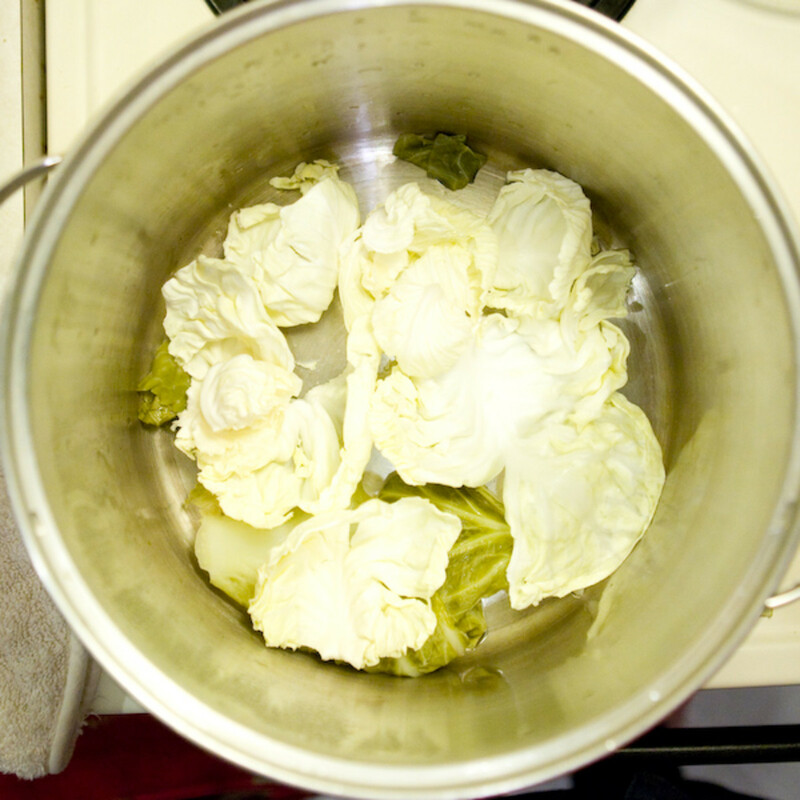 Mom had a way of boiling the cabbage leaves so they turned white and got softer. Served it with mashed potatoes, carrots, rye bread. Then she used undiluted tomato soup and when the Golumpki came out of the oven, you could pour the soup over the stuffed cabbage. Made this tonight for my 100% Polish hubby. He was delighted. Did substitute tomato soup for the tomatoes and sauce to match his Mother's version (not my choice, alas. ) This will now be a standard in our home. I love cabbage rolls aka Pigs in a Blanket. An old friend, who was Polish taught me her family's recipe. The only difference they browned salt pork and use it to drizzle over the top before covering with extra cabbage leaves. sounds delicious. thanks for sharing this wonderful recipe. gonna try this one soon. Your recipe looks great. I love the idea of using faux rice for those who are on a special diet. My mouth is watering for some of this comfort food. This is comfort food for me! I always like to see how other people make this favorite. Colleen, I'm so glad you came across this recipe! I hope it is similar to what you remember. I find it so fascinating from so many of the comments here how many memories a recipe can bring back! Thank you for trying this recipe. I hope you enjoy it! WriteJanis, You're welcome! I make it with pork sometimes and other times just with ground beef or even ground turkey, omitting the pork. It depends on what I remembered to get at the store! I hope you enjoy it! Thank you for taking the time to read through this recipe! I've never thought of adding ground pork. Thanks for the suggestion. PegCole17, thank you so much for sharing this recipe! It brings me much joy to bring wonderful memories back for quite a few through this recipe! Glimmer, I hope you enjoy this as much as I do! It is one of my favorite meals that brings a lot of family memories to me! AudreyHowitt, I have noticed that many of the heritages have some minor differences in their recipe. Is there much of a difference for Goluptsi? I'm glad this took you back to some wonderful memories! This is one of the first dishes I ever made before discovering my heritage is much like yours. My "German" grandmother was actually of Polish descent arriving in this country as a young teen in 1902. 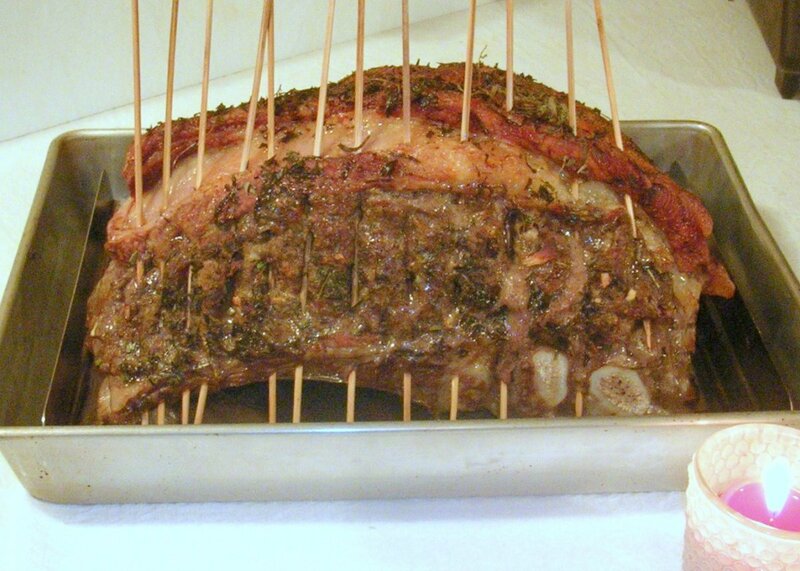 Your recipe looks so delicious and your pictures are mouthwatering. I pinned this recipe and shared it on Twitter. Thanks so much for the memories. This looks awesome and I will definitely be giving it a try. Maybe tonight since I'm not sure what to make for dinner. Thanks! We are Russian and for us this is Goluptsi--so many wonderful memories around this dish! Hi Marsha! Thank you! I hadn't made these in a really long time, until I came across my Grandmom's recipe again while going through an old cookbook. I don't think I've had 7-layer casserole, but I will look forward to reading your hub when you post it! Thank you so much for voting it up and for pinning! Yum, brings back many memories. I like how you did your thumbnails, maybe that is what I need to do so the album feature doesn't show up on every photo I posted in one of my hubs. I grew up with pigs in the blanket and have even made it for my family some. I've not made it in a long time though. Voted up and awesome, cuz it's an awesome food choice. Did you ever have 7 layer casserole? I haven't made that in a while, but I'm thinking of doing a hub on it, although I'd need to make it again to have some pictures of my own. Pinning this also. Hi Brian, Thank you! I just made this again tonight because we all love it so very much! I would have never thought about the plate, but my grandmother used to use one, so I just follow what she did! Thanks for the vote, too! Hi Marion, Your grandmother's dish sounds delicious, too! I have no restraint when it comes to cream cheese...and bacon, well, that's another weakness. Thanks for leaving a note! Replace the tomato sauce and paprika with cream cheese and bacon and you've got my favorite dish at the hands of my grandmother in the holiday seaon. Comfort food is the best! I get lazy and throw in spicy sausage in place of the other meats. YUM!!! Thanks for writing. Thank you, csgibson! I hope you will try them! Drop me a line after you do and let me know what you think! They sound delicious. I love to cook so I think that I will try your recipe. @vibesites, thank you for checking out this recipe and for taking the time to comment! I hope that you get the chance to try this delicious recipe! @KA Penderson, it would be a perfect way to use that cabbage! I have fond memories of my grandmother making this and it's comforting to know that she made it because her mom made it! Gives me a little taste of Poland, too! My family originated in the Lopuszna area! One day I'll get there to visit! Thanks for your comments! So this is what I can do with all the cabbage we bought on sale last week! My family also originally from poland! Thanks for sharing! I didn't know any Polish food/drink/delicacy other than kielbasa and vodka (it's of Polish origin), but thanks to you, you give me a glimpse of your Polish heritage through your delicious-looking stuffed cabbage. And I was surprised to discover that rice (obviously a non-Polish foodstuff) is incorporated there. So many delightful discoveries! I like that recipe, it's a meal in itself. Andrew, thanks for the votes! :) It has such wonderful flavors and brings me back to my grandmom's kitchen! Enjoy it! Hi Tammy! I have a little Irish in me, too, from my Dad's side! Yes, I sure would know what you meant! Thanks for the comments! A wonderful use of the humble cabbage! It has finally found its place! What a fascinating recipe, straightforward enough for even a galumpa like me to try. 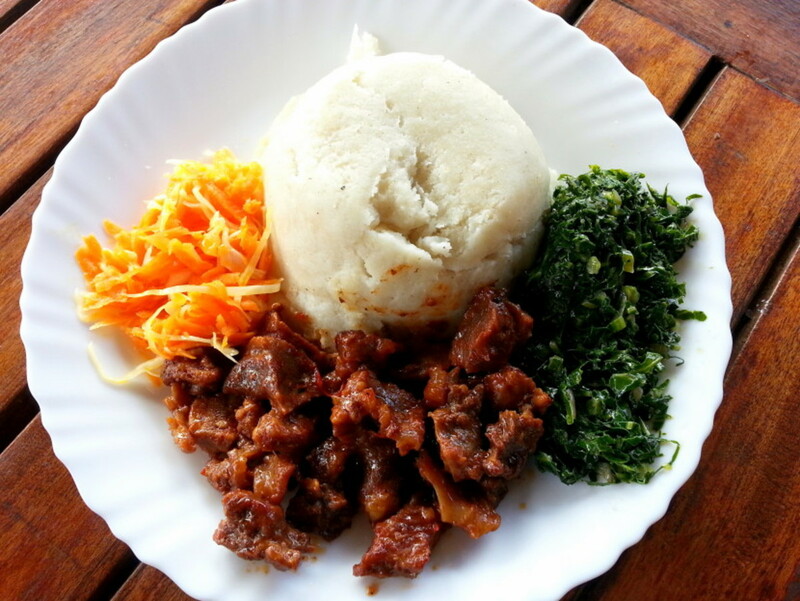 I love the idea of meat and seasoning within the green leaf - there's a certain primitive magic about that. Votes for this fine food hub. Wow, that is one of my favorite foods! Great recipe. I have Polish and Austrian roots too, with a little irish. I hope these wonderful recipes will be preserved and passed on. I can say Halupki and you would know what I was talking about. Great hub! RTalloni, awww...thank you! I hope you like this one, too! Thank you toknowinfo! I hope you enjoy them! Many different nationalities have slightly different variations. I've seen some others, myself, that I want to try, too! Thanks for taking the time to comment! Thanks for sharing this recipe. I only knew them as stuffed cabbage, but it is delicious just the same. This is a dish I certainly will make. 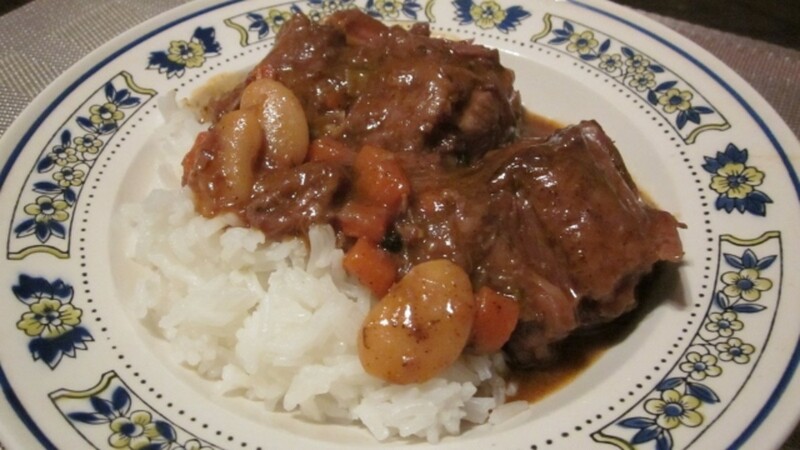 Thank you, rjsadowski, for checking out this recipe! It is delicious and tastes especially good as leftovers, too! If you try it some time, let me know what you think! Your recipe sounds tasty and your pictures make your instructions easy to follow.